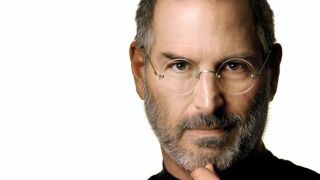 A judge has ruled that explosive comments made by the late Steve Jobs, can be used against Apple in a patent battle with Motorola. Apple co-founder and former CEO Jobs made the angry comments to biographer Walter Isaacson, claiming Google had 'ripped off' the iPhone with its Android operating system. In the passage, which proved to be the most newsworthy part of the book, Jobs said: "I will spend my last dying breath if I need to, and I will spend every penny of Apple's $40 billion in the bank, to right this wrong. "I'm going to destroy Android, because it's a stolen product. I'm willing to go thermonuclear war on this," he revealed, in a series of interviews prior to his death in October 2011. Now those words could come back to haunt Apple, with a Chicago judge refusing to grant Cupertino lawyers' request to forbid these quotes, and others, from the book being used by Motorola. Apple said in a filing to the court: "To avoid any potential prejudice to Apple if Motorola attempts to use the book to appeal to the jury's passion. "Apple asks that the court prevent any reference to the Jobs book during the trial." However, federal judge Richard Posner was having none of that. He shot down Apple's request without explanation.